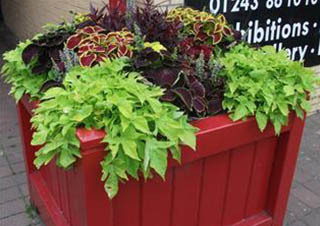 The sponsored planting scheme is co-ordinated by Bognor Regis Town Council and West Sussex County Council (WSCC). It is a unique, green and cost-effective way to promote your business to tens of thousands of people – all day, every day. 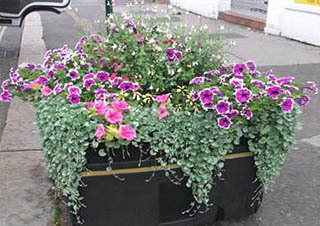 Sponsored planting can be in the form of a verge site planter or a bed on a roundabout. Bognor Regis Town Council has a maintenance team known as Town Force. 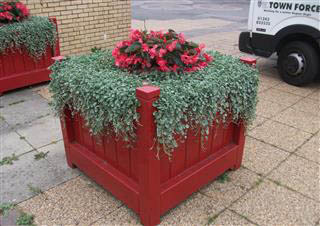 For an annual charge they will keep your sponsored planting watered and weeded and even cut the grass all year round. Should any of the plants die whilst being in their care, they will replace them free of charge. Your sign will be designed according to your wishes within the parameters set by WSCC. In addition to your artwork, it will also contain the WSCC and BRTC logos. The Town Council will also publicise your business as a sponsor in various publications and on the Town Council web site. A representative from your business will also be invited to the Mayor's civic service and the civic reception. Prices stated above are per quarter and exclude VAT. The expert plant nursery and firewood supplier in West Sussex. See Roundabout / Planter sponsors Below. Posh Paws Nails & Beauty Ltd.